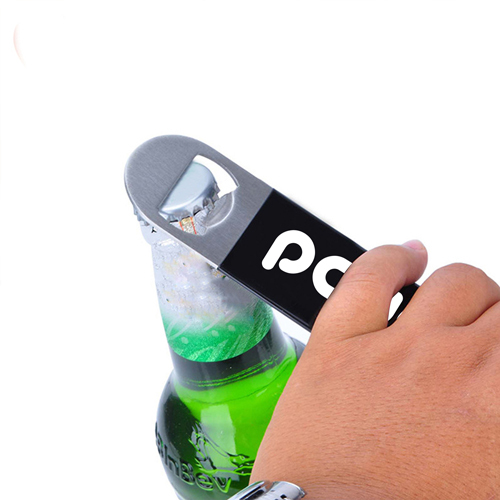 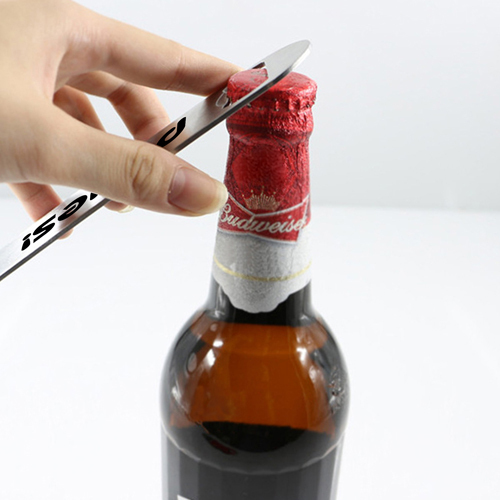 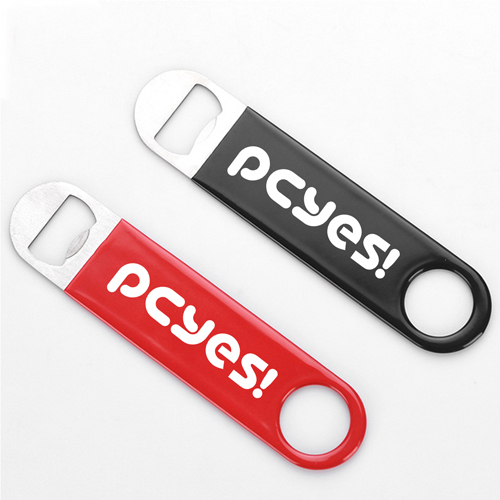 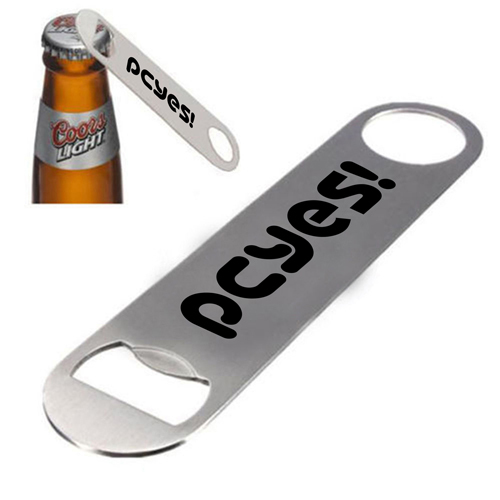 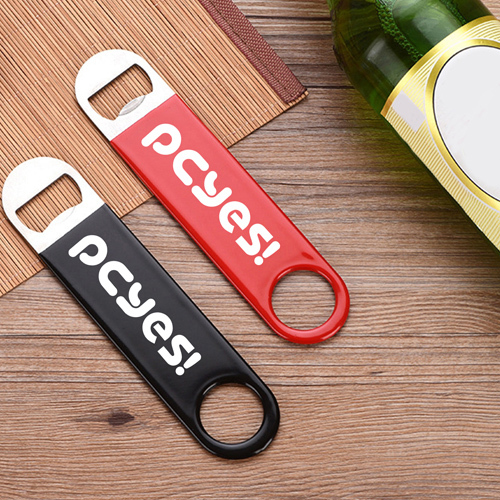 Bar blade flat bottle opener is one of the best product for the professional bartenders or other places for open or twisting the wine or beer cap. 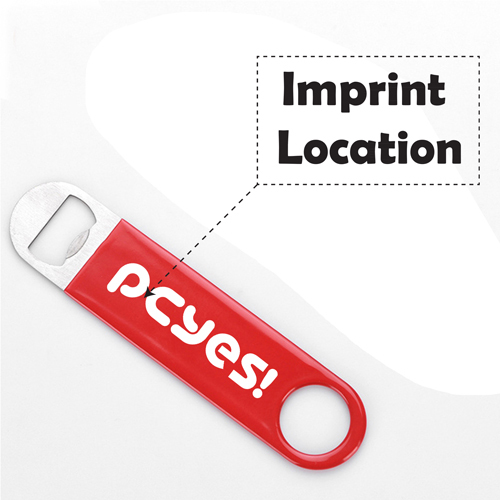 This is rectangular in shape and its flat body allows various organizations to imprint their brand name and logo for more public exposure. 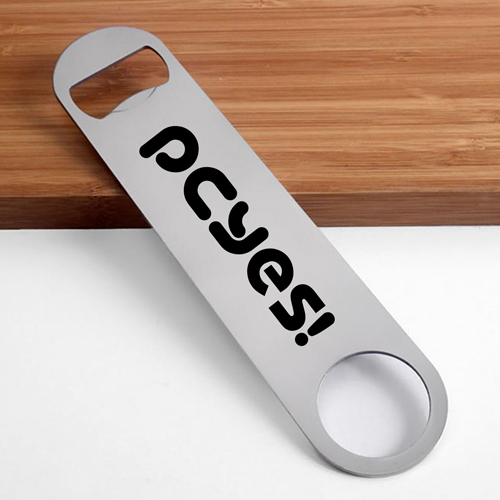 The stainless steel makes it sturdy and strong to last for years and the imprinted brand name also gets noticed as long as the product is used for opening bottle caps.